Have you started on a yeast-free or Candida-free eating program? Are you a little overwhelmed as to how you are going to prepare so many yeast-free meals? Never fear, we have a wonderful solution to help you: Healthy Gourmet. 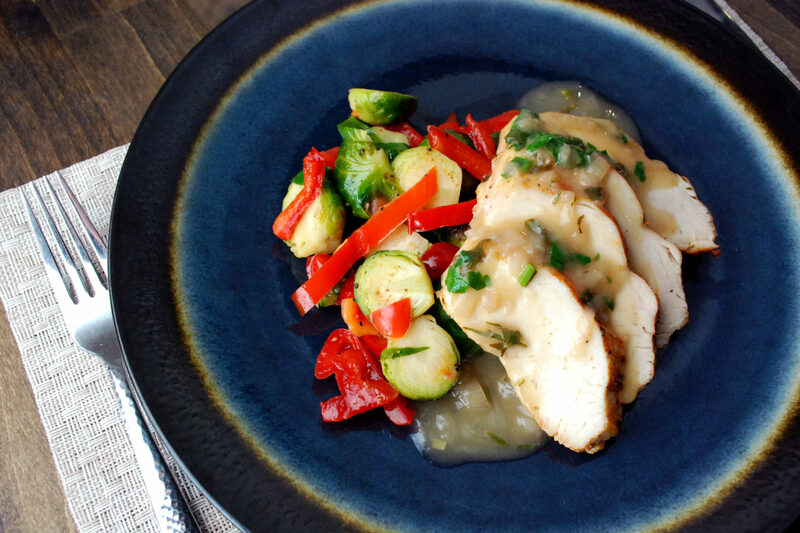 Healthy Gourmet Your Way delivers healthy, delicious, prepared meals made with all-natural ingredients to your door. Meals arrive cooked and ready to heat and enjoy in just minutes. No subscriptions, no artificial preservatives, no added sugar, and no hassles. Healthy Gourmet’s yeast-free menu was created in accordance with the Hotze Optimal Eating Program. These recipes feature Dr. Hotze-approved ingredients that starve Candida and improve gut health. Many people find it difficult to remain consistent with a new diet, especially one such as the anti-Candida diet. Healthy Gourmet Your Way makes it easy and convenient to stick with your diet, while boasting the flavor you crave. Healthy Gourmet Your Way’s mission is to fix what is wrong with the meal delivery service industry. The meal delivery landscape is full of expensive, limiting, wasteful, flavorless, contract-driven services where customer health, convenience, and satisfaction are a second priority. In 2017, Healthy Gourmet Your Way founder, Barry Fourie, began his quest to create the perfect meal delivery service…one that provides delicious, healthy meals at the convenience of the customer. What makes Healthy Gourmet Your Way the best meal delivery service? Most meal delivery services require subscriptions that lock customers into a monthly contract. Healthy Gourmet Your Way works with your schedule: order the meals you want, when you need them. No subscription required. Healthy Gourmet offers a large, stable menu of customer favorites with new meals added frequently, so customers have plenty of delicious and new options to choose from. Most meal delivery companies offer limiting meal plans that require the customer to choose from a small list for the week. The Healthy Gourmet website features a “create your own meal” section where users can create and order their own recipes using Healthy Gourmet sauces and all-natural ingredients. Combine sauce, protein options ranging from steak to tempe, up to two veggies, and a choice of carbs. Create the perfect meal to fit your lifestyle and Healthy Gourmet will prepare it for you with the same care and healthy ingredients used in their own recipes. What makes Healthy Gourmet Meals so Healthy? Healthy Gourmet Your Way’s recipes are health-focused, use all-natural ingredients and avoid all artificial preservatives and flavors, all the way down to the sauces. Not everyone’s diet calls for the same ingredients. Meals fit into one or more dietary categories including low-carb, low-fat, gluten-free, vegan, and the yeast-free diet. Healthy Gourmet creates meals with multiple dietary restrictions in mind, so the menu has something delicious and convenient for everyone. Currently, the most popular diets emphasize limiting traditional, carb-heavy foods. Healthy Gourmet offers healthy options such as jasmine rice, brown rice, spaghetti squash, veggie noodles, cauliflower rice, and quinoa. Of course, you have the option to leave the carbs out completely. After they are prepared and cooked in the kitchen, Healthy Gourmet meals are portioned into 100% BPA-free trays and vacuum-sealed for maximum freshness. Because Healthy Gourmet does not use any artificial preservatives, the vacuum-seal plays a key role in keeping meals fresh for delivery to the customer. When reheating the meals, the vacuum-seal film creates a steam pouch that ensures the meal is reheated evenly. Too many meal-kit and meal delivery companies use wasteful, over-packaged methods to transport their food. Healthy Gourmet orders arrive in recyclable, ecologically-friendly packaging. Ice packs made of recyclable plastic and plant material keep meals refrigerated on their journey to the customer. Liners made of recycled water bottles keep the meals insulated and safe. The meal trays are recyclable, as well. The entire box is curb-side recyclable. So are you ready to make eating healthy easier? Visit www.HealthyGourmet.com today! I’m looking for someone to deliver a six week Candida cleanse diet for me? I live in Whalley in Lancashire, would this be possible for you?